Presented by Art For All UAE, the acclaimed Moscow City Ballet return to DUCTAC after sell out shows of the Nutcracker in 2014. They start off the 2015 festive season in traditional style with two stunning adaptations of ballet classics: Giselle and Sleeping Beauty. Founded by former Bolshoi Ballet soloist and choreographer Victor Smirnov-Golovanov, Moscow City Ballet are one of Russia’s most successful touring companies. Giselle is a heady mix of romance and tragedy. The powerful story of a young girl who falls desperately in love with the handsome Count Albrecht. Upon discovering he is engaged to another, the love affair ends in the ultimate tragedy and continues, hauntingly, beyond the grave. Dastan Ensemble will play traditional Persian music at DUCTAC in Dubai on 4th of December. The Ensemble won the title “Musical Shock“ in Le Monde and received the 2003 Best Music of the Year Award from the French Ministry of Culture. 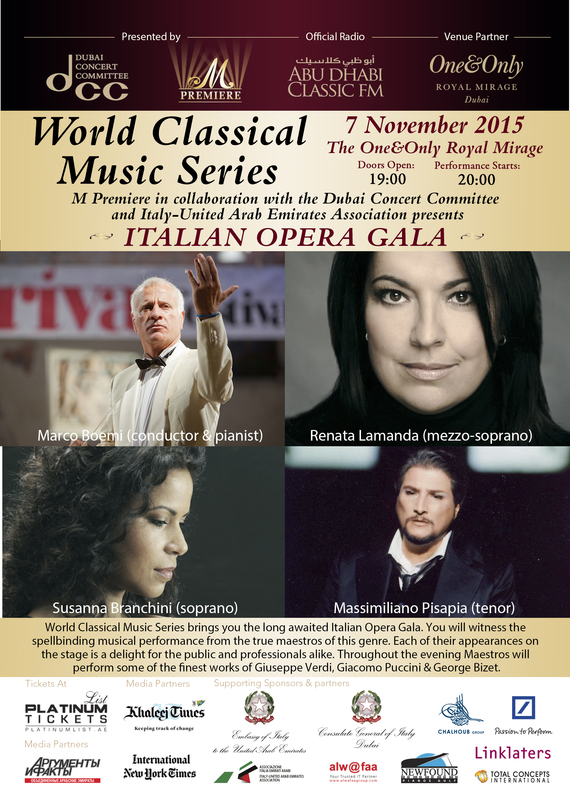 This concert is part of Emirates NBD Classics Season IV. Dream Factory Events under the patronage of the Embassy of Russian Federation in UAE and Consulate General of the Russian Federation in Dubai and Northern Emirates announced an exclusive concert of the Viola Virtuoso and Grammy Award Winner Yuri Bashmet & Moscow Soloists Chamber Orchestra in UAE on October 25 and 26. Maestro will perform some outstanding masterpieces of his repertoire at The Music Hall in Zabeel Saray in Dubai on October 25 and at The Auditorium in Emirates Palace Hotel on October 26, 2015. His performance would include Little String Serenade of Mozart, Concertino in a Minor for Viola and strings of Paganini, Five Romanian Folk dances for strings of Bartok, and many other famous pieces of Grieg, Britten, Stravingsky, Takemitsu, Schnittke, P. Heindrich. Concert timings: 9 pm till 11 pm with one intermission. Dream Factory Events под патронажем Посольства и Консульства РФ в ОАЭ представляют 2 концерта Легенды Мировой Музыки, Народного артиста России, лауреата Грэмми Юрия Башмета и камерного ансамбля «Солисты Москвы» 25 и 26 октября 2015 года в ОАЭ. Маэстро исполнит самые блистательные произведения шедевров мировой классики XVII–XXI столетий, от Баха и Моцарта до Шнитке и Стравинского. Первый концерт пройдет в Дубае 25 октября 2015 в «Мьюзик Холл» в отеле Zabeel Saray. Второй концерт состоится в Абу Даби 26 октября 2015 в The Auditorium, Emirates Palace Hotel. 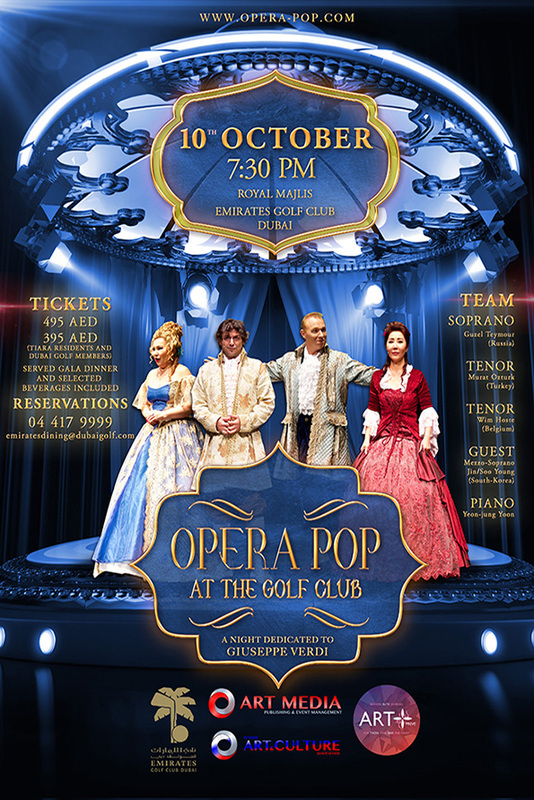 Bavarian Radio Piano Quartet will perform at One & Only Royal Mirage Hotel in Dubai at 20.00 on Friday, 9th of October in the concert organized by Dubai Concert Committee. The Bavarian Radio Symphony Orchestra is one of the leading German orchestras and enjoys an excellent reputation worldwide. The orchestra was ranked no. 6 among the “The world’s greatest orchestras” by the British music magazine “Gramophone” in 2008, and no. 4 by the Japanese music magazine “Mostly Classic” in 2010. Besides many performances and recordings across Germany, high profile concert tours have become an important part of the activities of the orchestra. Tours have taken the orchestra to almost every European country, to Asia as well as to North and South America. Its regular appearances include New York’s Carnegie Hall and the renowned concert halls in Japan. Since 2004, the orchestra under the direction of its current Chief Conductor, Mariss Jansons, is the orchestra in residence at the Easter Festival in Lucerne. The Bavarian Radio Symphony Orchestra is the only German orchestra with which Leonard Bernstein worked regularly for many years. Its renowned chief conductors from Eugen Jochum, Rafael Kubelík, Sir Colin Davis, Lorin Maazel to Mariss Jansons nowadays have contributed enormously to the extraordinarily wide repertoire and impressive sound quality of the orchestra. 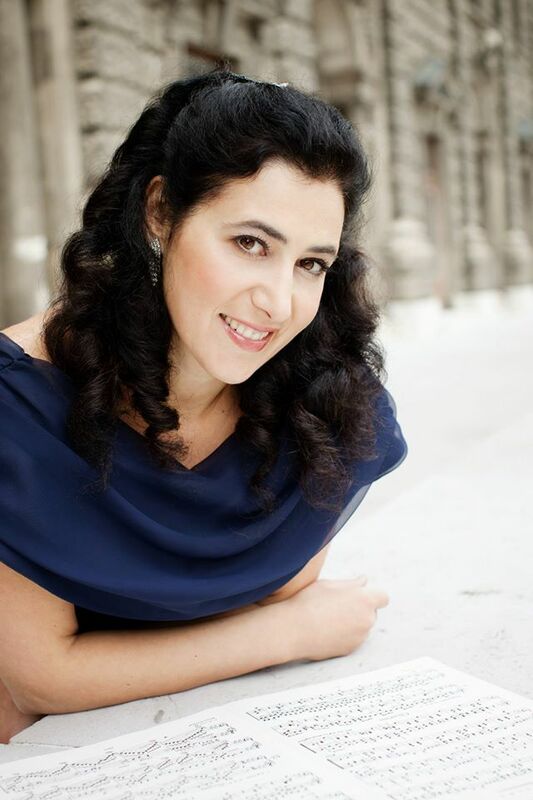 Its CD recordings have been awarded prestigious prizes such as “ECHO Klassik” or the “Prize of the German CD critics”. Charbel Rouhana (Arabic: شربل روحانا‎) was drawn to oud because it reflected the oriental ambience of his homeland Lebanon. In 1990 he won the first prize at the Hirayama Competition in Japan for Best Composition entitled “Hymn of Peace”, in 2000 he won the “Murex d’Or” as the Musician of the year, in 2007 he conducted and arranged the BBC3 World Music Awards winning Album of 2007 “ Al Muwashahat”. In 2007 Rouhana also formed the Beirut Oriental Ensemble. Charbel Rouhana is offering an enchanting evening of Arabic classical music at DUCTAC (the Mall of the Emirates) in Dubai on Friday, 6th of November 2015 at 20:00. Crossover artists music from Andrea Bocelli, Josh Groban and others.